Beyond the sun-kissed beaches and laid-back vacation lifestyle, the Dominican Republic offers a rich and vibrant history connecting Europe with the New World. Alpine mountains and white-water river rapids. Lush rainforests teeming with wild orchids and bougainvillea. Miles of pristine beaches studded with coconut palms. And the warm, welcoming smiles of the multi-cultural people who call this beautiful country home. 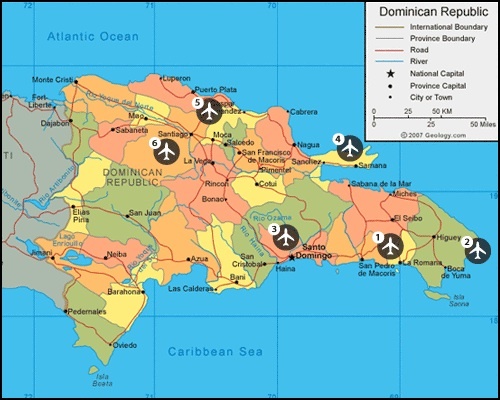 It’s no wonder visitors return to the Dominican Republic year after year after year. On the northern shore of the Dominican Republic stands the enchanting city of Puerto Plata. This well-kept secret is steeped in European and New World history dating back to 1502 when Nicolas de Ovando established a shipping base under the direction of Christopher Columbus. An historic, galleried mansion houses the city’s Museo de Ambar Dominicano, dedicated to the Dominican Republic’s national stone – translucent amber. An ancient lighthouse, recently restored, harkens back to the days of massive Spanish galleons and tall ships arriving from the New World. Stroll along picturesque lanes and you’ll find charming galleries, gift shops and cafes tucked within Victorian mansions.